LISTEN NOW! 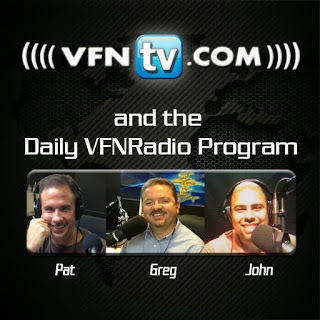 Greg, John, and Pat discuss Jim Bakker’s prophetic word regarding how great church leaders will emerge from minorities. He allows Armando a former gang member to share how God used him in Denmark. Armondo begins to share how on a recent ministry trip to Denmark he was being interviewed by a radio station when some Muslim thugs challenged him to a fight. Armondo being a new Christian and former gang member whose gang killed 20 people was not going to back down from a fight. As the tension escalated it was determined that they would pick one of their guys to fight him and if he lost he would leave Denmark and never come back and preach Jesus but if he won they would have to hear the gospel. For some reason the fight never happened. Armondo asked one of them if they had ever felt God before. The thug said no then Armondo asked would you like to? Armondo just prayed a very simple yet powerful prayer for God to touch him from the top of his crown to the soles of his feet. Instantly the man fell to the ground under the power of God, his friends thought he was dead. This one encounter with the power of God resulted in the Islamic thugs that first wanted to fight and challenge Armondo inviting him to the highest place an Islamic teacher sits among them to teach them about Jesus. God is raising up minorities to use a group of people that were oppressed to confound the wise. Get ready a huge harvest is coming. Greg, John, and Pat discuss how hard times soften hard hearts. Many people today don’t want to see hard times come but neither do they want to see hard hearts. Trying to hold things back will only allow the hearts to remain hard. Hearts are going to be softened. Financial hard times will come to America unless we repent. The stock market will take a hit and come down but it is important who the stock market represents. The stock market represents countless Americans across the country who have their investments and retirements invested in stocks. God is going to deal with America. God has shown us that in six minutes our world will be over as we know it as the stock market crashes. When electricity stops you can’t see, when blood stops flowing no more life, and when the money stops flowing everything stops. It’s better to repent on this side and to put your help in Jesus alone.